The Indiana University Bicentennial is a multi-year, multi-campus program that is academically driven, historically grounded, intellectually stimulating, and enjoyable. 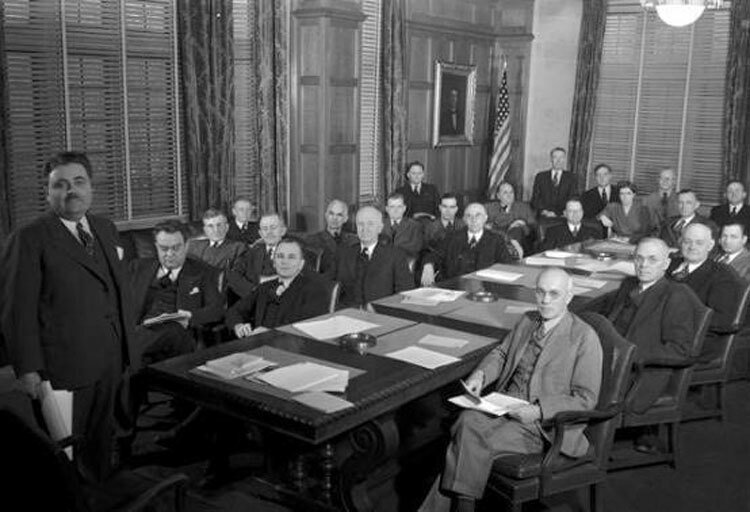 Through focused study and criticism, reflection, celebration, and documentation, the Bicentennial demonstrates how Indiana University has served as a “people’s university.” The Program includes a dynamic series of Bicentennial Signature Projects complemented by activities stemming from individuals, departments, schools, and campuses. Sutherland’s contributions to sociology have changed more than just the course of sociology and criminology. His emphasis on criminality as a social phenomenon rebuked the then popular notions of eugenics and other race-based theories. 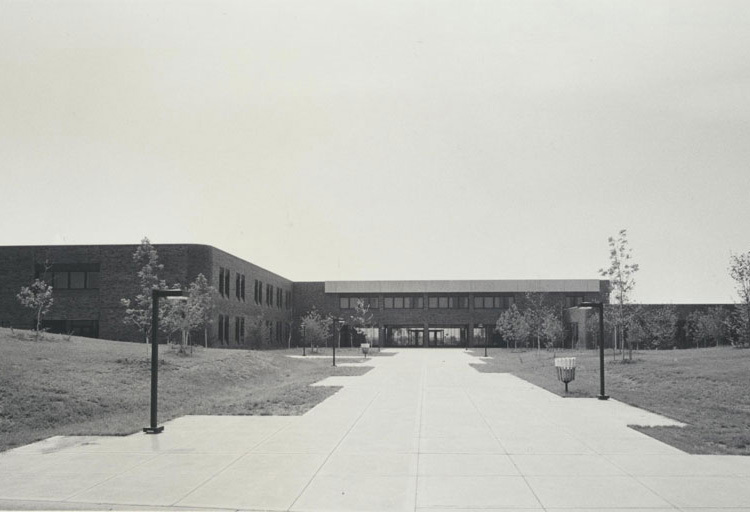 Indiana University East started as an extension center at Earlham College in 1946. Ball State and Purdue joined the arrangement in 1957, and the center was called the Eastern Indiana Center of Earlham College. It wasn't until 1971 that Indiana University East got its name and moved to Richmond, Indiana, becoming Indiana University's sixth regional campus. Indiana University East’s late Associate Professor of Fine Arts Tom Thomas (on the left), taught fine arts to undergraduates for over 30 years. 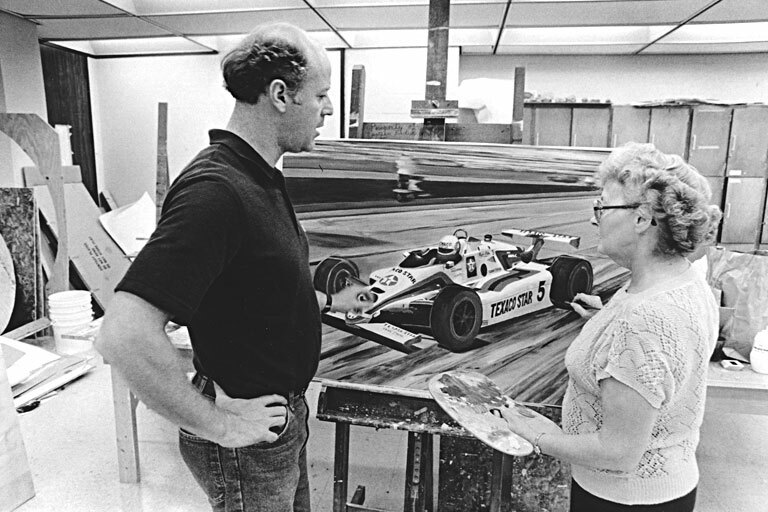 He was the founder of the Whitewater Valley Annual Art Competition, which now attracts hundreds of artists for the unique experience of being juried by a nationally known artist or curator who openly critiques all submitted entries before choosing the top works for the exhibit. Indiana University East Campus Archives, Photograph Collection. Two centuries ago, pioneer Hoosiers recognized that education was essential to Indiana’s prosperity, and they made a provision for it in the state’s constitution. Indiana Seminary was founded on January 20, 1820. It became Indiana College in 1828 and Indiana University in 1838. An early Trustee noted that when IU welcomed its first students, “a fire was kindled on the altar of learning that has never been extinguished.” Over 200 years, that fire has grown stronger. It has fueled an engine of prosperity for Indiana and the nation, sparked discoveries that solve the world’s problems, and illuminated possibilities of human imagination. The original class of 12 men has become a diverse student community more than 110,000 strong from 139 countries. The single building that comprised our first campus is today a statewide network of IU campuses and a global online learning environment. And with the nation’s third largest alumni body, IU has graduates in every corner of the world. 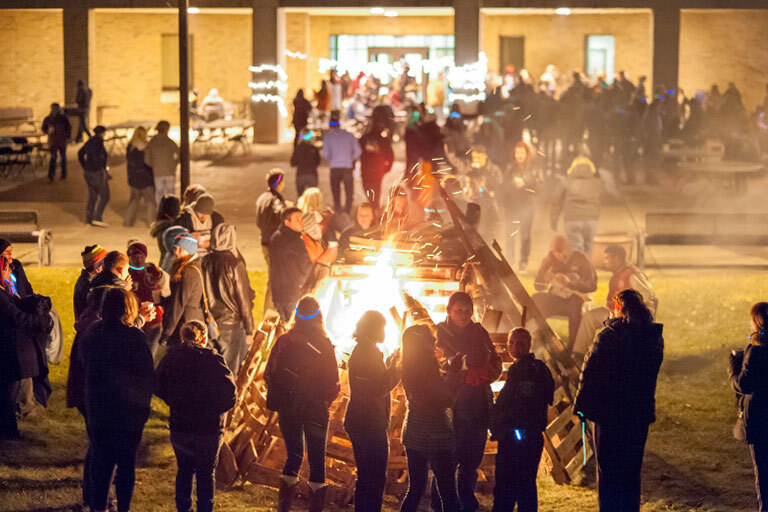 IU East homecoming bonfire. Indiana University East Campus Archives, Photograph Collection. In December 2014, the IU Board of Trustees approved the Bicentennial Strategic Plan—a visionary, comprehensive and wide-ranging plan to prepare IU for its next century of greatness and beyond. This plan was complemented by the aligned plans of campuses, schools, departments, and other units. And in September 2015, the public phase of the For All: The Bicentennial Campaign for Indiana University was launched. At $3 billion it is IU’s largest campaign ever and its first all-campus campaign. In January 2016, IU President Michael A. McRobbie charged a 30-member university-wide Steering Committee to develop a set of recommendations concerning how IU should celebrate its Bicentennial both in the period leading up to the Bicentennial year and in the year itself. The Steering Committee’sReport was endorsed by the IU Board of Trustees in June 2016. The Office of the Bicentennial launched projects and events in fall 2016. The 2019–20 academic year is designated as the official Bicentennial year. Additional Legacy Projects will extend the Bicentennial into our Third Century.